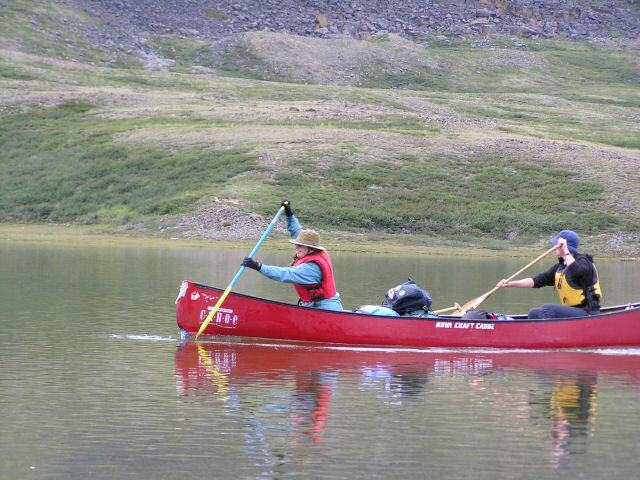 If you’ve ever dreamed of a canoe and camping trip in the beautiful treeless Tundra this is the ideal way to give it a try. We’ve planned a great 9 Day adventure on the Lower stretches of the world famous Thelon River. 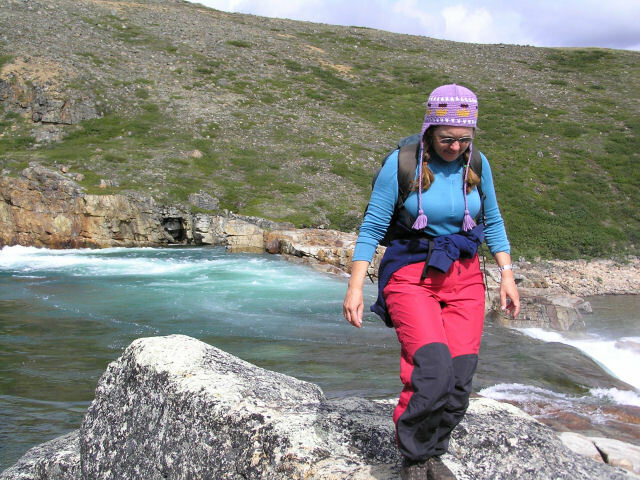 The Thelon River is one of Canada’s most iconic, beautiful and remote barrenland rivers. 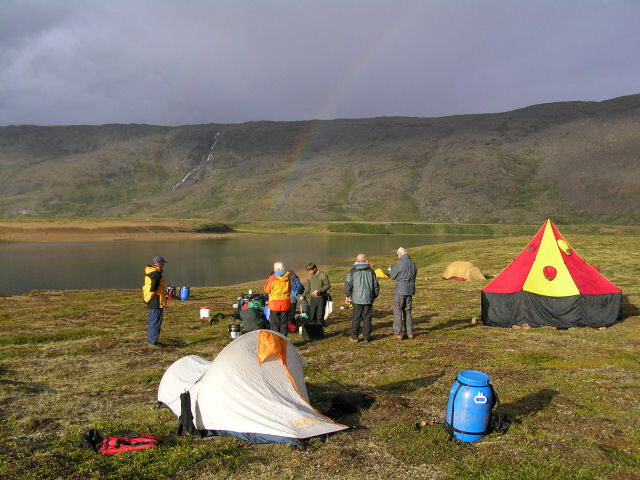 Paddling and camping in the arctic can be truly stunning. The long daylight hours combined with the rugged and beautiful treeless landscape offers fantastic opportunities for walking, hiking and exploration from almost all campsites. Flora and fauna viewing is great! 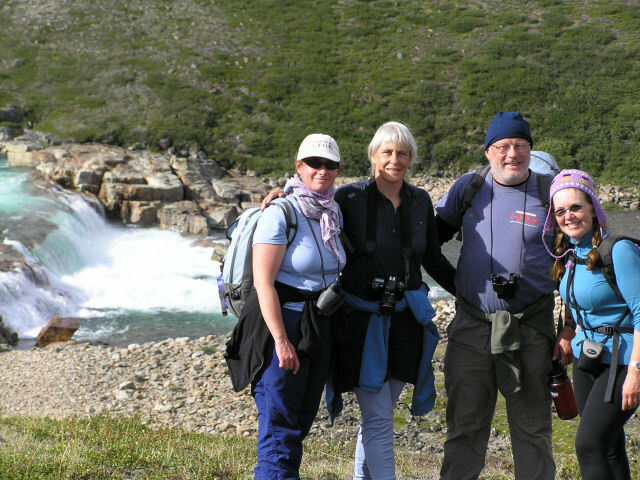 Caribou, Musk Ox, Arctic Wolves, Fox, raptors such as Gyre Falcons, and a host of other species may all be seen. In the heat of the summer sun, wildflowers and arctic plants flourish and bloom with the long summer daylight. At some campsites archeological evidence of past use of the land may be seen. This will be a relaxed pace trip with lots of time to enjoy this amazing environment. If you like to fish, the opportunities are world class! 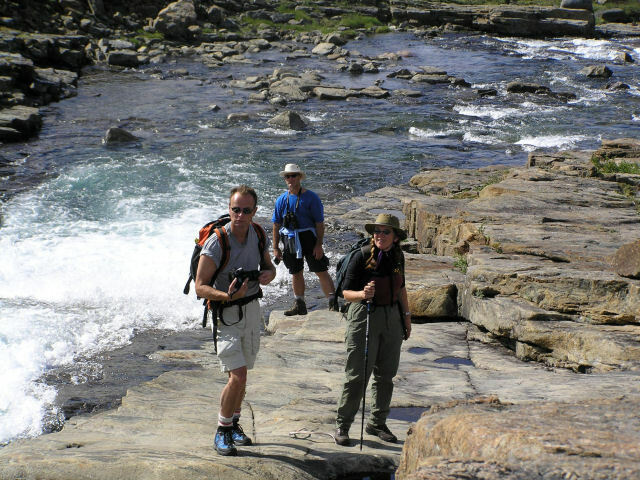 We’ll spend a few days on the Thelon’s mighty lakes followed by 3 or 4 on the very fast flowing Thelon River itself. 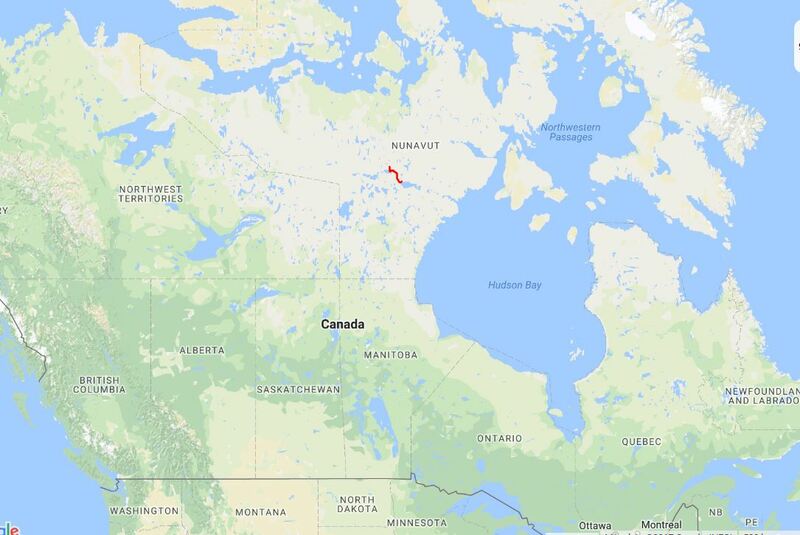 We will fly by charter plane into an ‘off strip’ landing site, putting down with tundra tires next to the river on a gravel bar. 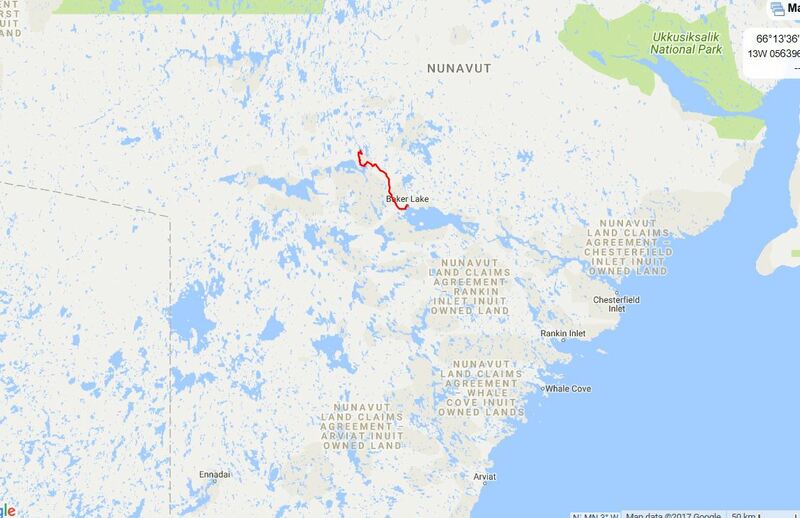 We will spend a night in town before our charter flight followed by 2 days on the Thelon Lakes and about 3-4 days paddling the lower Thelon back to town. The final night will again be at a lodge in the community. Previous Camping and Canoeing Experience is Required, but no previous white water experience is necessary. Sat: Day 1: Meet group at start local. Day 3: Exploration of area around landing site. Hiking, fishing, enjoying the environment.